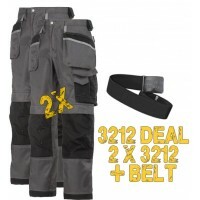 Check out our offers on Snickers 3212 Trousers. 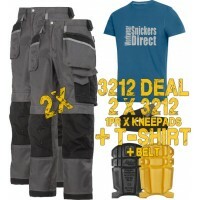 Discover our range of bundles and offers at Snickers Direct which include Snickers 3212 Trousers. 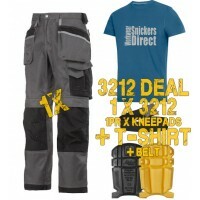 Snickers Workwear 3212 3-Series Trousers 3212 Snickers TrousersBrief Description of the Snicke..
Snickers 3212 x 2 Trousers Kit With T-Shirt, Kneepads and BeltModel: 3212Kit-SDBrief Descripti..
Snickers Workwear 3212 Work Trousers & SD T-Shirt, Kneepads & Belt	Included in Pack:	1..
Snickers Workwear 3212 Offer, 1 x PTD Belt & 1 x 9110 Kneepads Blue Kit. 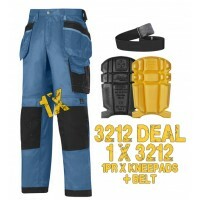 Massive Saving Over Buy..